Are we ready to embrace technology in care homes? The number of care homes embracing technology to improve the quality of life for residents, attract new private clients or reduce administrative burdens on staff is growing. Is the sector now fully accepting technology in care homes? Should the sector fully adopt technology in care homes? In our last newsletter we looked at the importance of a care home’s website and the impact it can have on enquiries and attracting new private clients. 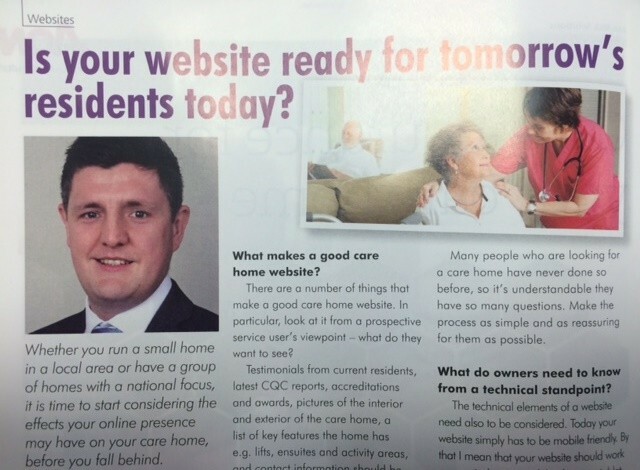 That article was featured in the November/December edition of Care Home Management. In that magazine alone there were three articles focusing on technology in care homes. This is undoubtedly a developing issue. 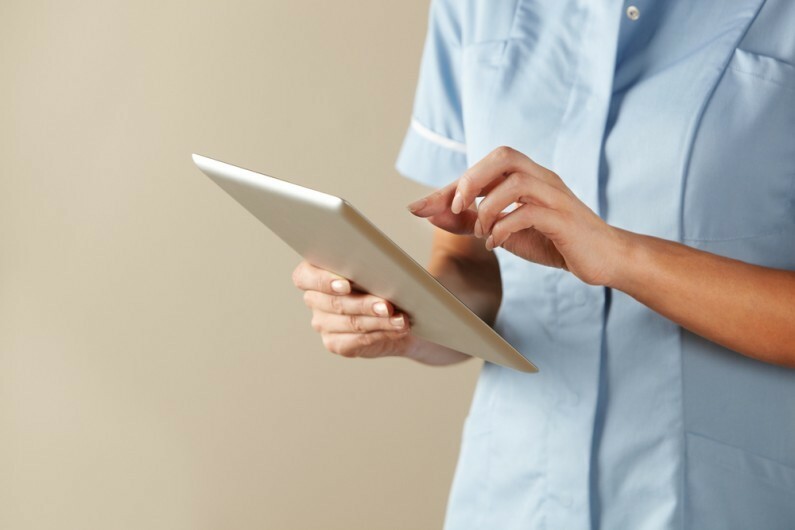 As families, residents, members of staff and care home owners are both encouraged and concerned about the introduction of technology in care homes it is important to consider the possible implications that technology may have in the sector. In this article we therefore revisit technology in care homes, but this time take a much broader look at how technology can, and indeed whether it should, shape the future of the sector. Improve quality of life for residents? Whether it is the opportunity to video call family and friends, stimulate the residents or the ease of providing feedback, technology certainly provides operators with the chance to improve the quality of life for residents. As mentioned earlier in this article, we have previously looked at the growing importance of a care home’s website and the impact that it can have in attracting new private clients. That article is available here. Reduce administrative burdens on staff? With rising input costs – particularly the introduction of the National Living Wage and increasing energy rates – operators are now more than ever looking to maximise efficiencies in order to not sacrifice the quality of care they deliver. The question of technology in care homes may therefore be not necessarily whether care homes should embrace technology but rather do care homes actually have the resources available to fully embrace technology? An interesting question, and certainly more to come in this area. You can also find all of our latest care sector news and newsletters here. If you are looking for advice in a particular area, please get in touch with your usual Hawsons contact. Alternatively, we offer all new clients a free initial meeting to have a discussion about their own personal circumstances – find out more or book your free initial meeting here. We have offices in Sheffield, Doncaster and Northampton. Scott Sanderson began his career with Hawsons and trained as a Chartered Accountant, becoming a partner in 2015, specialising in the healthcare sector and small businesses. For more details and advice, please contact Scott on [email protected] or 0114 266 7141.